Pamper your Mama! 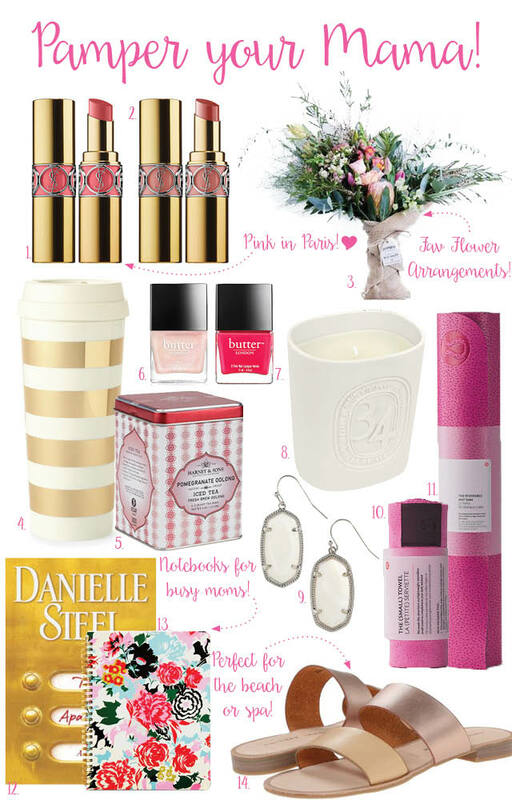 Magnolias and Sunlight: Pamper your Mama! Mother's Day is almost here and I plan to pamper my mom! Mother's Day is a great time to show your mom how much you care, but also to set her up with the tools she needs to relax! My mom works all the time and does so much for my family, even me and I'm in a different state! So for Mother's Day I want to make it possible for her to do nothing, but what makes her happy! In the attempt to find the perfect thing to send my mom I've found a few suggestions to share. There's nothing like a new lipstick to feel completely pampered and refreshed. I've fallen hard for a few of the YSL shades. The packaging look amazing and the products are so nice on the lips! Pair one of the lipsticks with a pretty pink shade of nail polish! If you can then throw in a mani/pedi that you can go get together! Your mom can throw on these cute sandals after her relaxing pedicure! My mom loves to run! So I love getting her running accessories. If your mama likes to hit the gym I can't recommend the LuluLemon yoga mats and towels! You can get them in a matching color and they probably my favorites out there. Even if your mom isn't a yogi these mats are great for stretching and ab exercises! Running in the Texas heat is hot so a microfibre towel is a must! Last but not least a relaxation basket is a great gift! Put a mug with some tea or coffee (depending on what your mama likes to eat), a book your mom loves (mine likes Danielle Steel), and a great candle in a basket or a bag that she can use again! Maybe add some fuzzy socks and a sweet treat to really complete the whole thing. Also, order a pretty flower arrangement that your mom can enjoy for days after her special day. 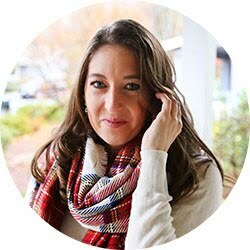 My favorite online florist is out of San Francisco! Farmgirl Flowers makes the most beautiful arrangements and they come wrapped in burlap. Plus, the arrangements change depending on what flowers are in season so you know you're getting really fresh flowers! If you want to really go all out try the Romy+Richele, not only will your mom get a bouquet, but also a box of amazing SF products! It's not all about the gift, though. The most important thing is to make sure you express how much you love your mom and how much she's appreciated! Send a card, make a phone call, and make sure she smiles on her day!